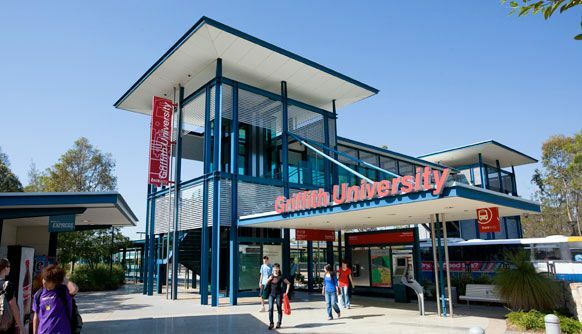 Adjacent to Nathan campus with panoramic views to Brisbane, this modern campus is within walking distance of the South East Busway. A bookshop, cafeteria, gym and a state of the art tennis centre are just some of the convenient facilities available on campus to the 4,800 students located here. Students can also access welfare, counselling and other support services. For students wanting to live on campus, Mt. Gravatt Residential College provides fully-catered single room accommodation. A co-op bookshop, general store and ATM are all located on campus. Café M28 excels in pastas, pizzas, open grills and tempting cakes, whilst the Mt. Gravatt Servery serves up gourmet bagels, Panini’s, wraps, sandwiches, salads, pizza, pies, international/local dishes, bakery items and snacks. Split over three levels, the Mt. Gravatt library has all of the resources that students need to assist them in their studies, from different study zones to computer access and printing facilities. Work up a sweat at the Aquatic and Fitness Centre, Mt. Gravatt’s fully equipped gym, or play tennis on the brand new world-class tennis courts.